ALL Costa Blanca destinations from ALC. BOOK & SAFELY PAY DIRECT FOR TOTAL PEACE OF MIND. From £15.50 per person 4 sharing a private taxi transfer to Benidorm! 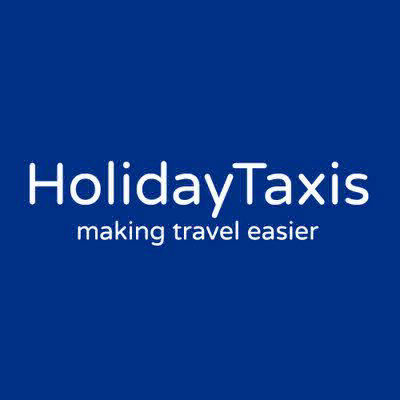 Holiday Taxis are easy to book and offer good value airport transfers to all Costa Blanca destinations north and south of Alicante airport, including Altea, Albir, Benidorm, Benissa, Calpe, Guardamar, Javea, La Marina, La zenia, San Fulgencio, Torrevieja, and Villajoyosa. WHY BOOK HOLIDAY TAXIS FROM ALICANTE AIRPORT? Fast transfers to and from Alicante Airport to any Costa Blanca destination. HolidayTaxis offer airport, city and resort transfers in 21,000+ destinations in 150+ countries. They provide a good range of private and shared vehicles, including airport taxis, shuttles, minibuses, luxury limousines and wheelchair accessible vehicles. All transport vehicles are safe and licensed. HELP: Should you need to contact them at any time they have a 24/7 customer support helpline to assist you before travel and in your destination. GREAT FEEDBACK: 33,000+ positive and independent customer reviews. HolidayTaxis was also a winner at the 2018 TravelMole Awards, and was nominated for the Globe Travel Awards 2019. Popular destinations are available for both taxi transfers for your own use or good value shuttle services. Shared transfers from Alicante airport operate to Albir, Altea, Benidorm and La Cala Finestrat. They have mini-bus transfers available for Stag and Hen groups direct to your Benidorm hotel in under an hour. Book your private group airport transfer from Alicante airport for 4 and up to 55 people in one easy to book process!